Super-foods are considered to be nutrient-rich powerhouses that are beneficial for overall health and well-being. Eating these super-foods may reduce the risk of chronic disease and lengthen your life. Along with essential nutrients, super-foods feed our body the necessary nutrients that our Standard American Diet is lacking. Although your thyroid is small, it produces a hormone that influences every cell, tissue and organ in the body. The thyroid determines the rate in which your body produces the energy from nutrients and oxygen. What if you could start eating foods to feed your thyroid? What if you could start nourishing your body back to health with foods that jump kick your metabolism? Foods that are powerful enough to help you lower your cholesterol, reduce your risk of heart disease and cancer? Are you interested? I really don’t like labeling a certain number of foods as “super” to just 21. There are so many other foods out there that pack a powerhouse punch but if you are affected by hypothyroidism these foods that I have listed will start to feed your body the nutrients that it is lacking. Make sure you eat the color of the rainbow. Fill your plate with a lot of fibrous vegetables that will help you lose weight, stay fuller longer and improve your skin. When you eat fibrous vegetables it passes through your body undigested, keeping your digestive tract running smoothly and helping your bowel movements flush out cholesterol and harmful carcinogens. Fibrous foods are asparagus, green beans, beetroot, cooked broccoli, cooked brussel sprouts, carrots, celery, cucumber, garlic, lettuce, mushrooms, onions tomatoes and cooked spinach. Many people with hypothyroidism are deficient in Magnesium, B-12, Zinc, Iodine, B2, Vitamin C, Selenium, Vitamin D and Vitamin A.
Blueberries are nutrient dense and are loaded with fiber, vitamin c, vitamin K, manganese, antioxidants, fights cholesterol, lowers blood pressure, fights cancer and boosts brain health. Pumpkin is loaded with antioxidants, fiber, Vitamin A, Vitamin C, magnesium, potassium , zinc, contains L tryptophan, a chemical compound that triggers feelings of well-being that aid depression and is anti-inflammatory which means it helps with joint health, organ health, stress relief and soft tissue injuries! Gluten free oatmeal are suitable for a gluten-free diet. People with hypothyroidism typically have a gluten intolerance. Oatmeal with fuel your body, give you fiber, help lower your cholesterol, enhance your immune system and help stabilize your blood sugar. Free-range or “pastured” organic eggs contain Tryptophan and Tyrosine which is important for the prevention of cardiovascular disease and cancer. They are loaded with all 9 essential amino acids choline, powerful antioxidants and sulfurB12, vitamin A, omega-3 fatty acids, vitamin e, iron, phosphorous, selenium and B2 and B5. Beans, beans, beans the magical fruit! The more you eat the more you toot! Eating foods that cause gas is the only way for the microbes in the gut to get nutrients. They are full of nutrients, including protein, fiber, slow-burning carbs, antioxidants, vitamins, and minerals. Healthy individual can have up to 18 flatulences per day and be perfectly normal per Purna Kashyap, a gastroenterologist at the Mayo Clinic in Rochester, Minn.
Red bell peppers is an excellent source of vitamin C, vitamin E, manganese, antioxidant-rich, six different carotenoids (alpha-carotene, beta-carotene, lycopene, lutein, cryptoxanthin and zeaxanthin). Sardines are rich in omega-3 fatty acids EPA and DHA, which have been found to lower triglycerides and cholesterol levels. Sardines are an excellent source of vitamin D, vitamin b12 and rich in protein, which provides us with amino acids. Brazil nuts are a very good source of vitamin-E, Vitamin B, thiamin, riboflavin, niacin, pantothenic acid, folates, copper, magnesium, manganese, potassium, calcium, iron, phosphorus, and zinc. Just two brazil nuts per day can give you the recommended daily allowance of selenium. Most hypothyroidism patients are selenium deficient. Dark chocolate Cacao not cocoa are two different kinds of chocolate. Once the beans are roasted and processed that they are called cocoa. Most cocoa powders have additives like sweeteners or cocoa butter. The cocoa beans lose much of their nutritional benefits. Cacao is the purest form of chocolate you can eat. It is raw and much less processed than store bought cocoa powder. It’s full antioxidants, magnesium, iron, potassium, calcium, zinc, copper and manganese. Wild salmon is loaded with omega 3 fatty acids, High Quality Protein, Essential Amino Acids, Vitamin A, Vitamin D, Vitamin B6, Vitamin B, Vitamin E, calcium, iron, zinc, magnesium, and phosphorus. Seaweed contains vitamins A, vitamin C, calcium and is a natural source of iodine. Iodine deficiency is common with people who have hypothyroidism. Symptoms of being iodine deficient are fatigue, depression, difficulty losing weight and are a higher chance of becoming sick. Chia seeds contain Zinc, Vitamin B3 (Niacin), Potassium, Vitamin B1 (Thiamine), fiber, protein, magnesium, Vitamin B2, calcium, phosphorus, loaded with Antioxidants, almost all the carbs in chia seeds are fiber, they have more Omega-3 fatty acids than salmon and has been shown to lower LDL cholesterol and triglycerides, increase HDL cholesterol and reduce inflammation. want to thank you for reading my latest blog. Please let me know if you need any support with it. The Gleaner (1915). Kingston, Jamaica, 24 June 18/2. Oxford English Dictionary, online edition, entry superfood, www.oxforddictionaries.com/. Accessed on 24 April 2012. Merriam-Webster Dictionary, online edition, entry superfood, www.merriam-webster.com/. Accessed on 24 April 2012. Yi W et al. (2005). Phenolic compounds from blueberries can inhibit colon cancer cell proliferation and induce apoptosis. Agric Food Chem 53(18):7320–9. Malin DH et al. (2011). Short-term blueberry-enriched diet prevents and reverses object recognition memory loss in aging rats. 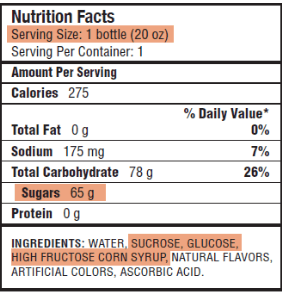 Nutrition 27(3):338–42. Dröge W. (2002). Free radicals in the physiological control of cell function. Physiol Rev 82(1):47–95. Lichtenthäler R et al. (2005). Total oxidant scavenging capacities of Euterpe oleracea Mart. (Açaí) fruits. Int J Food Sci Nutr 56(1):53–64. Lynn A et al. (2012). Effects of pomegranate juice supplementation on pulse wave velocity and blood pressure in healthy young and middle-aged men and women. Plant Foods Hum Nutr 67(3):309–14. Aviram M et al. (2000). Pomegranate juice consumption reduces oxidative stress, atherogenic modifications to LDL, and platelet aggregation: studies in humans and in atherosclerotic apolipoprotein E–deficient mice. Am J Clin Nutr 71(5):1062–76. Webb AJ et al. (2008). Acute blood pressure lowering, vasoprotective, and antiplatelet properties of dietary nitrate via bioconversion to nitrite. Hypertension 51:784–90. Kris-Etherton PM & Keen CL. (2002). Evidence that the antioxidant flavonoids in tea and cocoa are beneficial for cardiovascular health. Curr Opin Lipidol 13:41–9. Hooper L et al. (2008). Flavonoids, flavonoid-rich foods, and cardiovascular risk: a meta-analysis of randomized controlled trials. Am J Clin Nutr 88(1):38–50. Kris-Etherton PM et al. (2003). Fish consumption, fish oil, omega-3 fatty acids, and cardiovascular disease. Arterioscler Thromb Vasc Biol 23:e20–e30. Brown MJ et al. (2004). Carotenoid bioavailability is higher from salads ingested with full-fat than with fat-reduced salad dressings as measured with electrochemical detection. Am J Clin Nutr 80:396–403. Crozier A et al. (1997). Quantitative analysis of the flavonoid content of commercial tomatoes, onions, lettuce, and celery. J Agric Food Chem 45(3):590–5. This entry was posted in Uncategorized and tagged #dirtydozen#pesticidefoods#organic#eatbetter, #glutenfree, #hypothyroidism, #pesticidefoods, #superfoods, health benefits, Heart health, lowering blood pressure on April 21, 2016 by thehypothyroidismchick. Our next 21 day Thyroid reboot Challenge begins TODAY. This program was created as a simple, helpful way to incorporate hypothyroidism Eating into your everyday life. You have two ways to have this amazing plan! Want to feel your best this Spring?! You will notice reduced sugar cravings, weight loss, & shrinking waistlines by following this thyroid reboot meal plan. More importantly, you will simply feel better and have a lot more energy for their family! 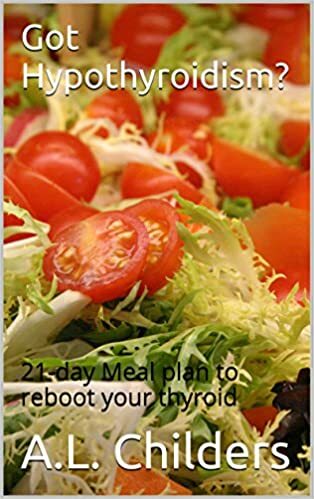 This 21 day thyroid reboot program is NOT about starving, fasting, juicing, only drinking soups or smoothies, buying lots of supplements, or eating BORING meals. 3 Weeks Clean Eating Guide -During the 3 week challenge you we will Detox all the junk; and learn how to eat for life! Flexible daily Menu Plans that you pick! Daily Online Support – Not clichés about dieting, but REAL facts & advice that works. Create yourself a daily Meal, Mood, & Nutrition Tracker – So helpful! Private Online Community – THIS is where the magic happens. I (plus a small private group of amazing people doing the challenge just like you) will hold you accountable, be your supporters and cheerleader. You will have other hypothyroidism suffers join us in the group too! Facebook- Got Hypothyroidism? If you have some discipline, are willing to try something different, and want to see the results of resetting your body with natural foods, then I want to work with YOU! This is not a First come, first serve thing. Everyone is welcome. There are no limited spots to insure that you receives the attention YOU deserve. You can jump in on the program anytime! See you in the challenge group! It’s going to be a lot of fun! I put this program together in order to help YOU simplify clean eating forever! I used to be an unhappy, over weight, sugar addict, who was having trouble keeping up with my 3 teenage daughters, and feeling old, bloated and blah when I looked in the mirror. You know… the “typical aging” process many of us feel. I’m happy to say that by shifting to a “hypothyroidism diet,” I have been able to reverse many of the negative feelings of aging that I was experiencing. In fact, today, I feel better than ever. I’ve been “hypothyroidism eating ” for quite some time now, and I’m proud to say not only does it work, it’s something you can stick with for LIFE! 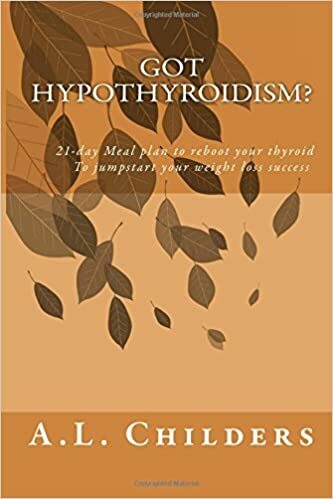 It took years of research and many more years of trial and error to find the simplest way for someone to switch to a diet of primarily hypothyroidism eating. Following what I learned I had seen many friends and family have major results by slightly tweaking how, and what they were eating on a daily basis. And that’s why I created the 21 Day thyroid reboot Challenge. Why? Because it works, AND because it’s a plan that’s actually realistic to stick with! I’ve created this program as the perfect companion for someone looking to improve their health by eating REAL food. That’s right, we’re simply eating differently than today’s society ‘norm,’ eating REAL foods, and experiencing amazing results because of it. AND the best part of all… the food we eat isn’t boring! This program is exactly what I would have wanted when I started eating for my thyroid because of two key factors. What do I mean by Accountability? Just simply reading a few recipes online will not change the way you eat. You require a system to keep yourself committed to your thyroid eating lifestyle. And when it comes to a plan, you can not simply guess your way to success. In fact, it’s taken me over 5 years to figure out the exact hypothyroidism Eating Plan that you can easily follow for success. And that is exactly why this program works! Enjoy an life time of hypothyroidism Eating! 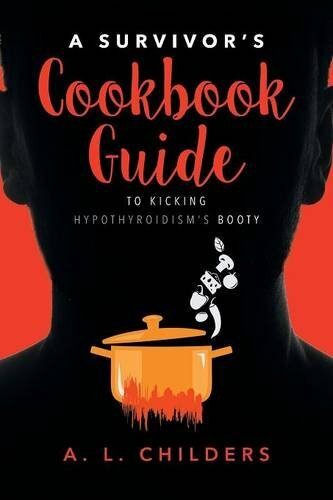 This entry was posted in Uncategorized and tagged #21dayreboot, #flexibleeatingplans, #glutenfree, #happiness, #hypothyroidism, #love, health benefits, lowering blood pressure on March 4, 2016 by thehypothyroidismchick. Everyone will love this salmon dish. Not only is it full of flavor, it’s high in omega-3. Salmon is, undoubtedly, one of the healthiest seafood to date. So glad it’s also supple and scrumptious. 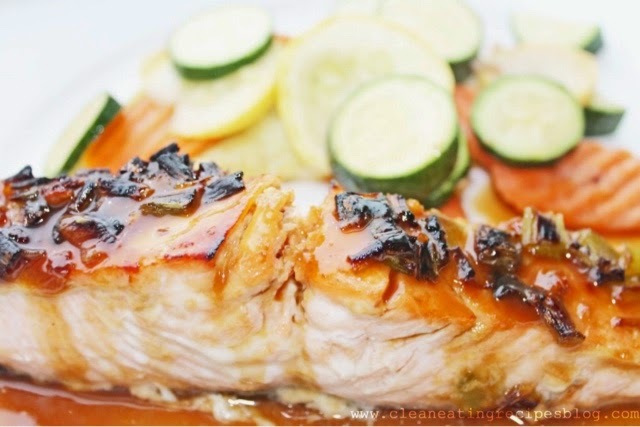 Great idea a hypothyroidism dinner!The sweet ginger glazed salmon recipe offers a sweet and tangy sauce for juicy and savory bites. It’s a protein-packed meal with an Asian twist. 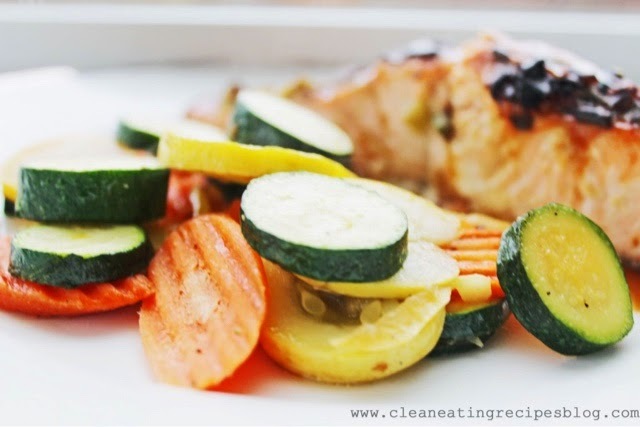 Compliment the meal with a mixture of zucchini, sweet carrots and summer squash! Instead of using soy sauce as suggest in the recipe use coconut amino’s instead. 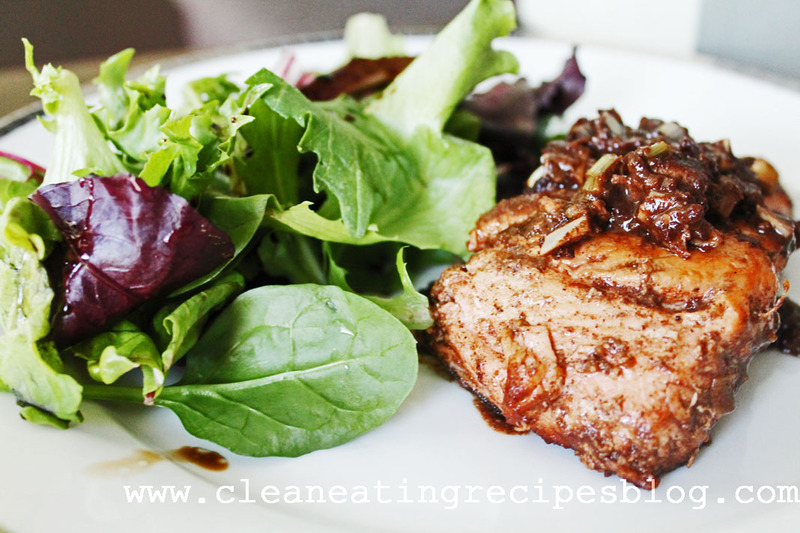 Try it at Clean Eating Dinner – Sweet Ginger Glazed Salmon. Please visit Cooking Canuck’s website. It’s full of delicious and healthy recipes–and this clean eating salad is one of them. Combining fish sauce with chilli and agave, this clean eating salad offers great flavor with zero guilt. It’s also quick and easy, and we all like that. Find recipe at 10-Minute Thai Shrimp Cucumber and Avocado. Five Spice Powder is a traditional Chinese condiment containing cloves, cinnamon, fennel, star anise and pepper corn. It’s used in many dishes including chicken stew and five-spiced eggs. It has a sweet and herb-y flavor and smells wonderful. Today’s Five Spice Salmon uses mainly the Five Spice Powder. Simply marinade salmon with powder, along with a few other ingredients, and bake until salmon’s thoroughly cooked. The outcome is quite flavorful. Hope you like it. Get recipe at Five Spice Salmon. Love these little bites because they’re abundant with protein and has zero carbs. Seaweed and tuna make a nice combo, if you haven’t tried. Find recipe at Clean Eating Snack – Seaweed Tuna Bite. You can substitute shrimp for lobster if you want. Either way, this salad is hearty and delicious. Get recipe at Clean Eating Idea – Lobster Salad. 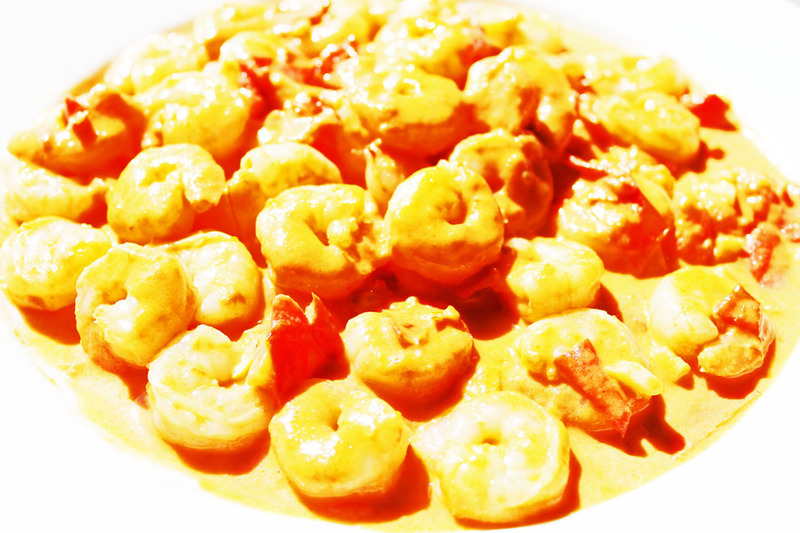 If you like creamy sauces, you’ll like this creamy tomato shrimp. It’s smooth, flavorful and tastes great with anything. Enjoy recipe at Clean Eating Shrimp Recipe. This entry was posted in Uncategorized and tagged #cleaneating, #creamytomatoshrimp, #currylentilstew, #damndeliciousmeals, #fivespicesalmon, #glutenfree, #highprotein, #hypothyroidism, #lentil, #lobstercilantroavocadosalad, #onepot, #organic, #quinoashrimpsaladcups, #saladcups, #shrimpcucumberavocado, #sweetgingerglazedsalmon, health benefits, Heart health, lowering blood pressure on January 29, 2016 by thehypothyroidismchick. Nothing like that waking up to the smell of coffee. It’s gets the juices flowing with that very 1st sip. It’s offer you a energetic boost and mental clarity on a feeling that life can go on. The thyroid gland is such a very important part of the body’s regulatory mechanisms; thyroid problems can affect everything in the body from our temperature to appetite to the pulse. Caffeine, a stimulant found in coffee, can affect the thyroid in a number of ways and has an effect on your central nervous system, your digestive tract, and your metabolism. According to the recent article, in new study from the journal Thyroid people who consume coffee at the time of taking their thyroid medication, we see a 25-57% drop in T4, one of the thyroid hormones, compared to non-coffee drinkers. This adverse effect persists for up to one hour. Researchers have also found that for patients taking levothyroxine tablets, absorption is affected by drinking coffee and espresso within an hour of taking the thyroid drugs. According to “Coffee and Health,” by Gerard Debry, in experiments on rats, very high doses of caffeine caused the thyroid gland to enlarge, but at doses of about 300 mg, caffeine in humans did not change levels of thyroid hormones. What about the benefits? Yes, there are many reliable studies that say coffee is full of antioxidants and polyphenols. However, these same antioxidants and polyphenols can also be found abundantly in many fruits and vegetables. 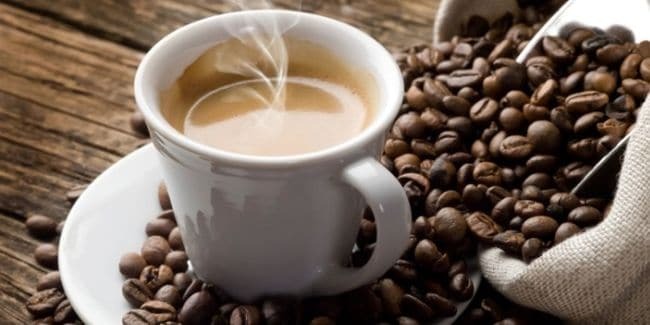 There are many other reliable studies that show coffee can play a role in the prevention of cancer, diabetes, depression, cirrhosis of the liver, gallstones, etc. Many coffee drinkers report feeling good for the first two hours (mainly due to a dopamine spike). What about decaf you ask? Many manufacturers use a chemical process to remove caffeine from the coffee beans. The result is less caffeine, but more chemicals. It is the caffeine in the coffee that has the health benefits. Without it, you are left with little benefit. According to this study, caffeine increases blood sugar levels. This is especially dangerous for people with hypoglycemia (or low sugar levels) who feel jittery, shaky, moody and unfocused when hungry. Blood sugar fluctuations cause cortisol spikes, which not only exhaust the adrenals, but also deregulate the immune system. This is highly undesirable for those of us with adrenal fatigue, Hashimoto’s or Graves’ disease. Such cortisol spikes are also highly inflammatory. As the result of the above, when our blood sugar levels come down, we need an emergency fix to bring them back up. This is why people who drink coffee at breakfast or indulge in sugary and processed breakfasts crave carbs and sugar by 11am or later in the day. Coffee stimulates the release of gastrin, the main gastric hormone, which speeds up intestinal transit time. Coffee can also stimulate the release of bile (which is why some people run to the bathroom soon after drinking coffee) and digestive enzymes. In a person with a healthy digestion, this is not a big deal. However, for people with autoimmune conditions, compromised digestion (such as IBS, or “leaky gut”), this can cause further digestive damage to the intestinal lining (source). Coffee stimulates the adrenals to release more cortisol, our stress hormone; this is partly why we experience a wonderful but temporary and unsustainable burst of energy. What many of us don’t realize is that our tired adrenals are often the cause of unexplained weight gain, sleeping problems, feeling emotionally fragile, depression and fatigue. Drinking coffee while experiencing adrenal fatigue is only adding fuel to the fire. It’s well-established that coffee contributes to estrogen dominance (source), which can mean one of two things: we either have too much estrogen in relation to progesterone, or we have an imbalance in the estrogen metabolites (some are protective and some are dangerous). PMS, lumpy breasts, heavy periods, cellulite and even breast cancer (which is an estrogenic cancer) can be symptoms of estrogen dominance. 50% of people with gluten sensitivities also experience cross reactivity with other foods, including casein in milk products, corn, coffee, and almost all grains, because their protein structures are similar. Cyrex Labs provides a test for gluten cross-reactive foods. Many people report having a similar reaction to coffee as they do to gluten. Coffee impacts the absorption of levothyroxine (the synthetic thyroid hormone); this is why thyroid patients need to take their hormone replacement pill at least an hour before drinking coffee. The indirect but important point is that coffee contributes to estrogen dominance, cited above, and estrogen dominance inhibits T4 to T3 conversion. This study showed that women who drink coffee during their pregnancy are at a higher risk of miscarriage. Any functional or integrative doctor would say the majority of modern diseases are caused by inflammation – a smoldering and invisible fire found on a cellular level. This study found that caffeine is a significant contributor to oxidative stress and inflammation in the body. Chronic body pains and aches, fatigue, skin problems, diabetes and autoimmune conditions are just some of the conditions related to inflammation. It is well-known that coffee changes our body pH to a lower, and thus more acidic, level. A low pH (which means a more acidic body) can contribute to osteoporosis. This study has confirmed that habitual coffee drinking among postmenopausal women was the leading cause of osteoporosis. There are healthier alternatives to drinking coffee. This is a great alternative to coffee. It has caffeine to give you a gentle jolt to wake up, but the caffeine content is nowhere as high as that of coffee, so you won’t experience a midday crash and fatigue your adrenals over time. One cup of this wonder tea can keep you going for most of the day. This Indian tea is rich in antioxidants and contains a plethora of spices including cardamom, cinnamon, pepper, and ginger that is sure to awaken all your senses in the morning. The smooth creamy flavor actually makes you feel like you are sipping a cup of coffee, but without all the extra caffeine. This is a great way to rehydrate and alkalinize your body and perk up after sleep. It also detoxifies the liver and helps get your bowels going. This really should be the first thing everyone sips in the morning. Who doesn’t enjoy a yummy protein smoothie? It is a terrific way to load up with energy and nutrition. 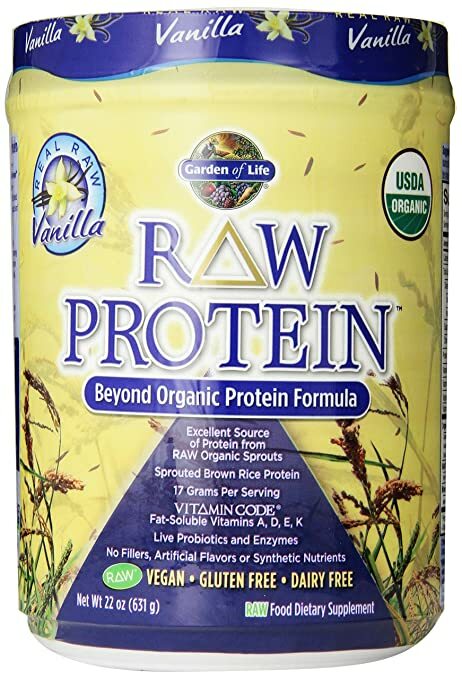 Use almond, soy, or coconut milks and your choice of a good quality protein powder. Throw in some bananas and berries which add heaps of extra minerals, vitamins, and antioxidants that are sure to fill you up and get you going for the grueling day ahead. 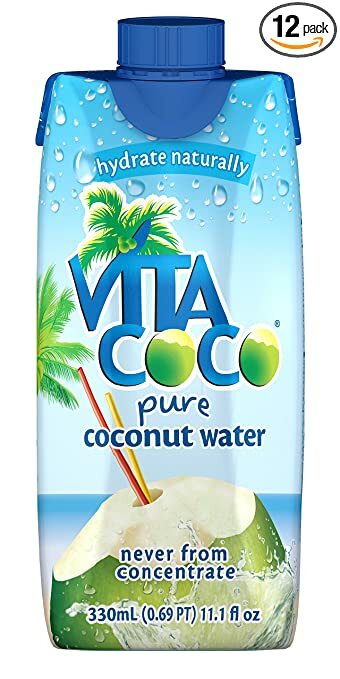 Coconut water is Mother Nature’s perfect drink. It has an abundance of electrolytes and minerals while being low in fat and sugar. This is the best alternative to an energy or sports drink, and can really give you a burst of energy in the morning. This protein-rich natural energy drink may soon make its way into the stores…be prepared almond and soy and coconut milks…it’s the next big health thing! Quinoa (pronounced keen-WAH), is a gluten-free, alkaline-forming, high-protein grain that has tremendous health benefits. Click on this link to read more of the healthy benefits! 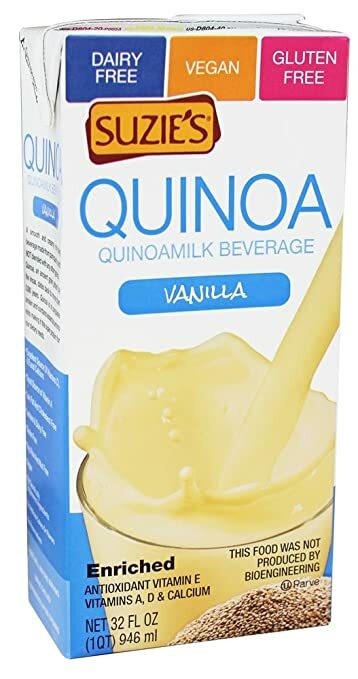 Quinoa milk can be made from scratch, at home. You’ve probably heard about this one but don’t know too much about it. Kombucha is a type of yeast. 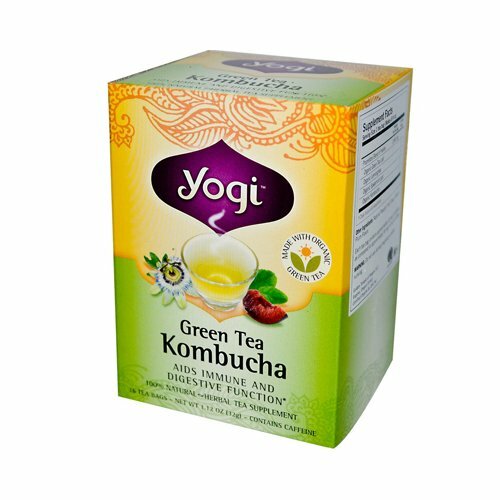 When you ferment it with tea, sugar, and other flavors or ingredients you make Kombucha tea. While the benefits of Kombucha are debated, many claim that it is useful for treating memory loss, regulating bowel movements, preventing cancer, helping with high blood pressure, and more. Yerba mate is the good alternative to coffee for those who can’t start the day without a cup o’ caffeine. Providing the same buzz that coffee gives, Yerba Mate is preferred by many as it’s packed with nutrients, too. Mate is made from the naturally caffeinated leaves of the celebrated South American rainforest holly tree. It is widely known for not having the heavy “crash” that coffee can bring. 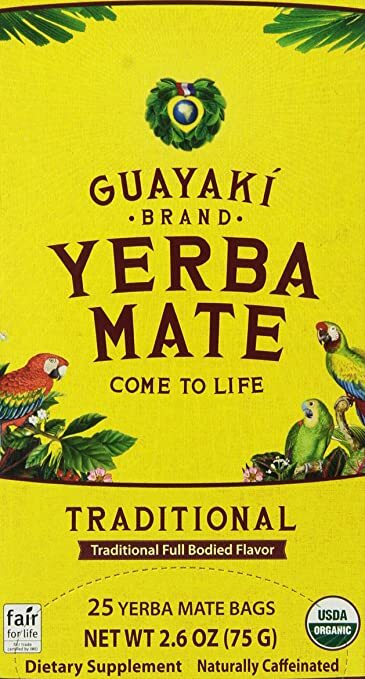 Another benefit of Yerba Mate is that it can be prepared and consumed in a variety of ways–hot, cold, with honey, in a tea infuser, in a French press, or even in a traditional coffee machine. While it’s not the most exciting beverage in the world, sparkling water can be a refreshing alternative to both coffee and water. Especially when flavored with natural, sugar-free, fruit extracts, sparkling water is delicious and hydrating. There is a lot of competition in the marketplace from Perrier to San Pellegrino. Hot apple cider’s sweet tanginess offers its own unique pick-me-up in lieu of caffeine, and its soothing warmth is just as satisfying as that of coffee on a cold fall or winter morning. In addition to its natural sweetness, because apples are the key ingredient, apple cider offers health benefits not available in coffee. Click on this link for a recipe by the Pioneer Women for Hot apple cider. Turmeric is highly anti-inflammatory, and this golden turmeric tea recipe is sure to help heal your body from a number of inflammatory health conditions. Turmeric can help detoxify the liver and protect cell damage caused due to environmental pollutants, attack from free radicals . Research has found that turmeric extracts can lower blood cholesterol levels – especially LDL ‘bad’ cholesterol. It has lipid lowering properties. This can reduce cholesterol levels and benefit weight loss by reducing adipose tissue weight gain. This rich creamy and lightly sweet beverage is something you’re sure to enjoy! You have to exercise caution when combining it with medications or supplements taken to slow down blood clotting. Turmeric supplements must be stopped two weeks prior to a surgery. Harvard School of Public Health; The Nutrition Source: Ask the Expert: Coffee and Health; Rob van Dam, M.D. Please Like and share my blog! 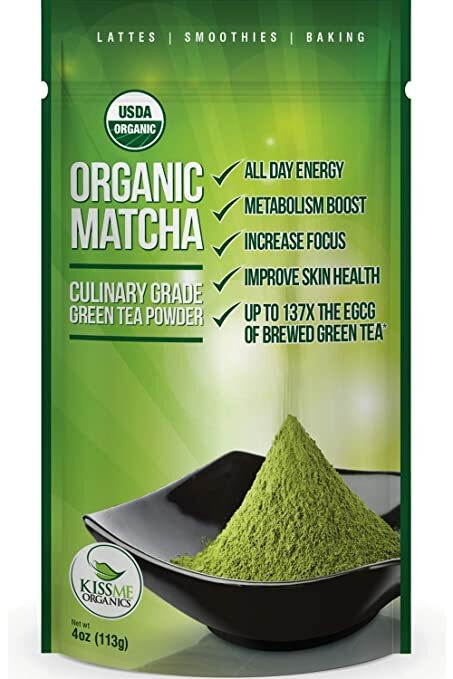 This entry was posted in Uncategorized and tagged #acidreflux, #bloodsugar, #coconutmilk, #coffee, #highinflammatory, #hotapplecider, #hypothyroidism, #kimbuchatea, #matchatea, #quinoamilk, #rawprotein, #soyfree, #turmerictea, #yerbamate, Blood pressure, health benefits, Heart health, lowering blood pressure on January 23, 2016 by thehypothyroidismchick.